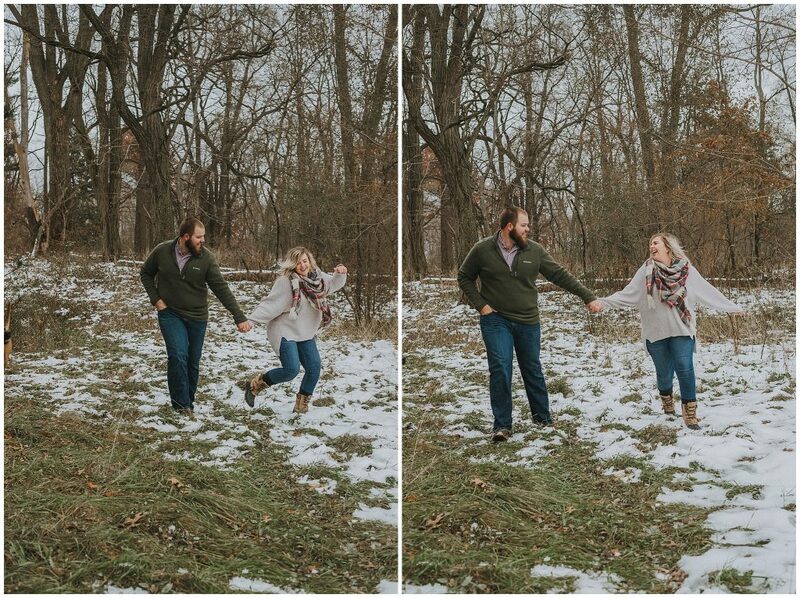 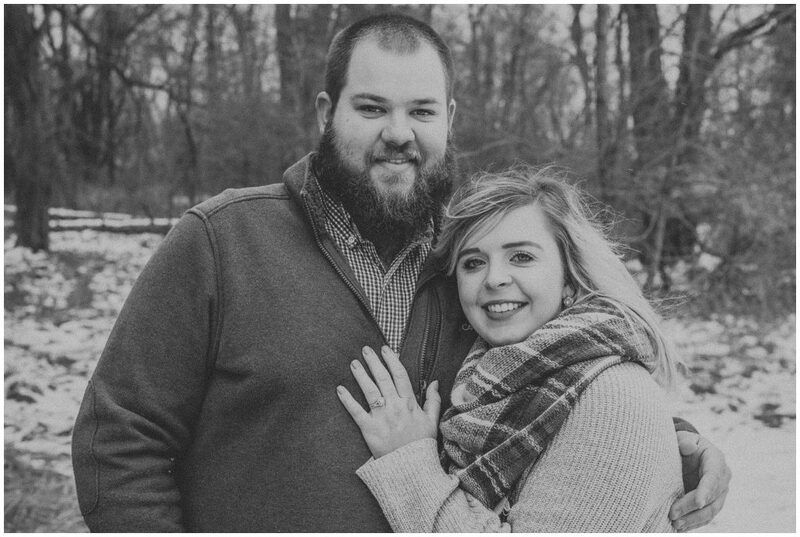 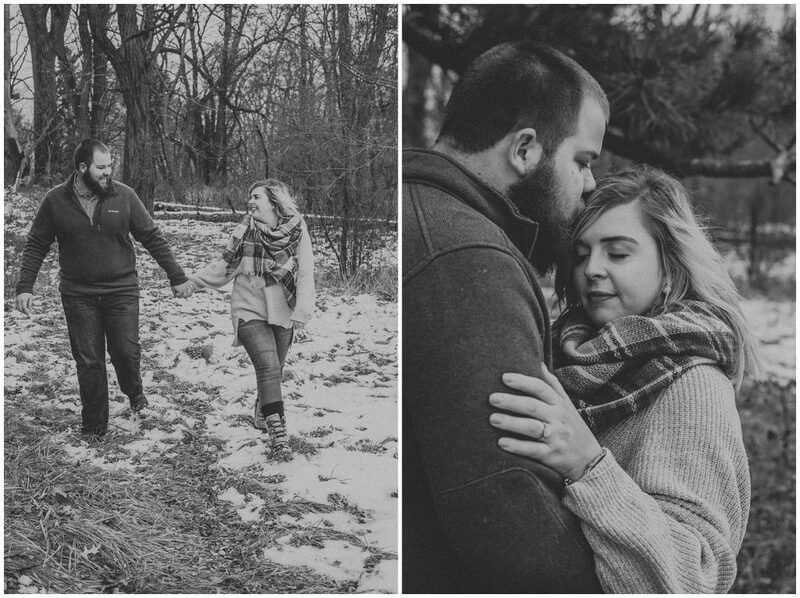 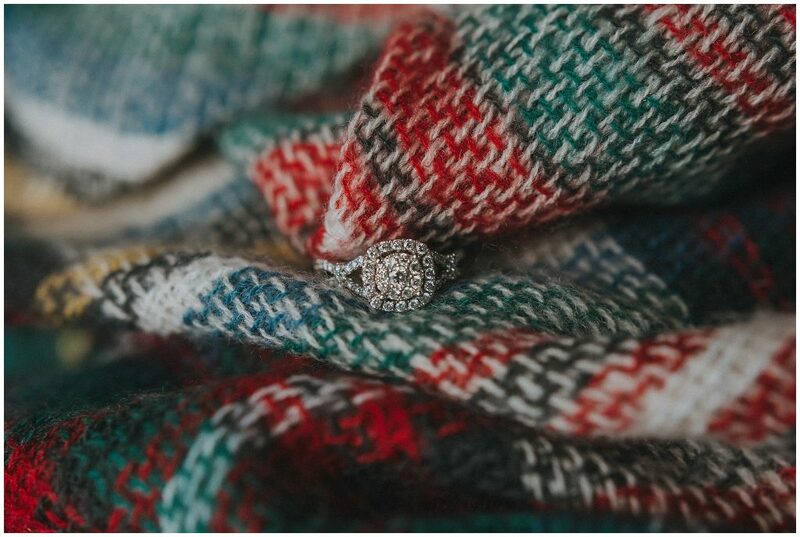 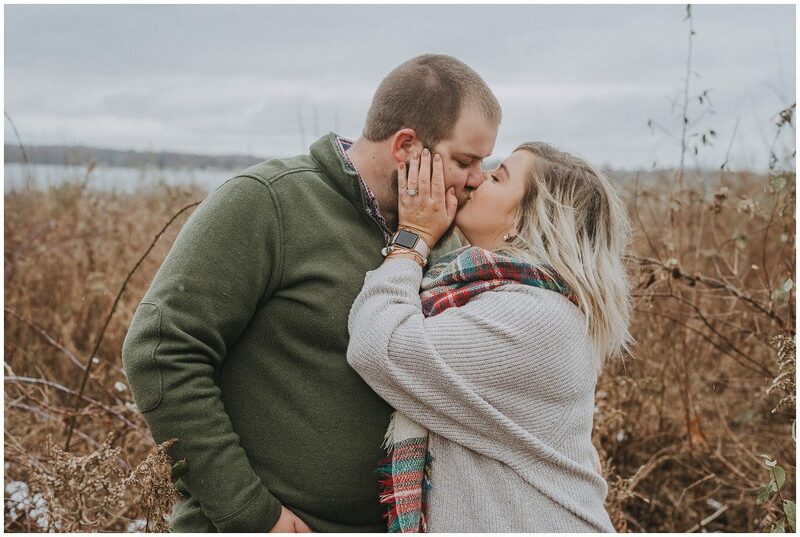 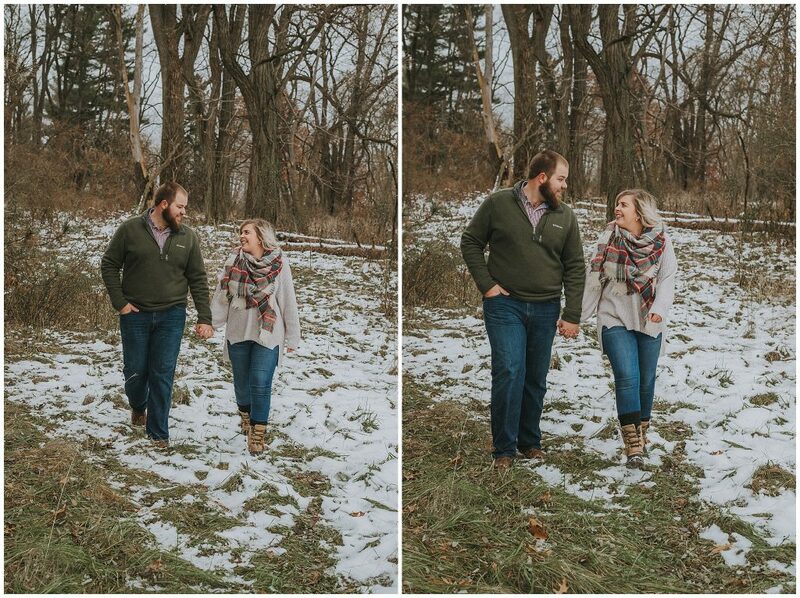 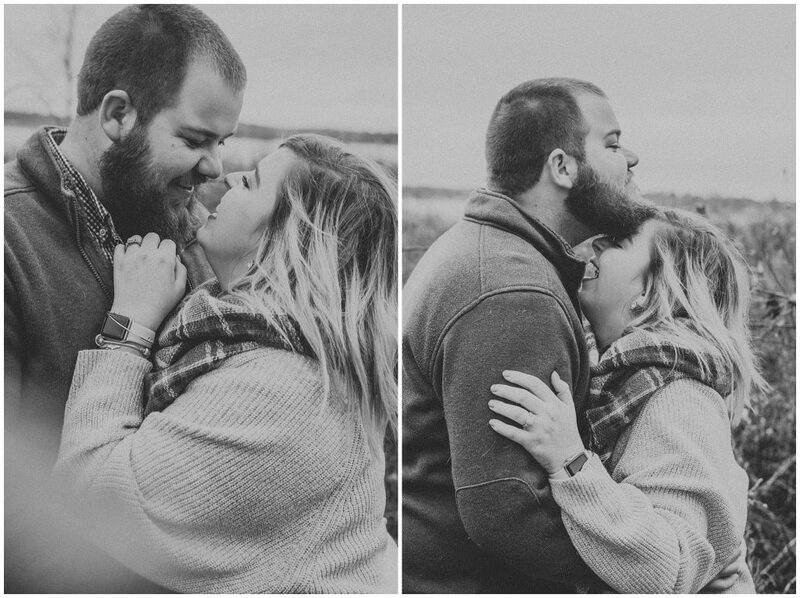 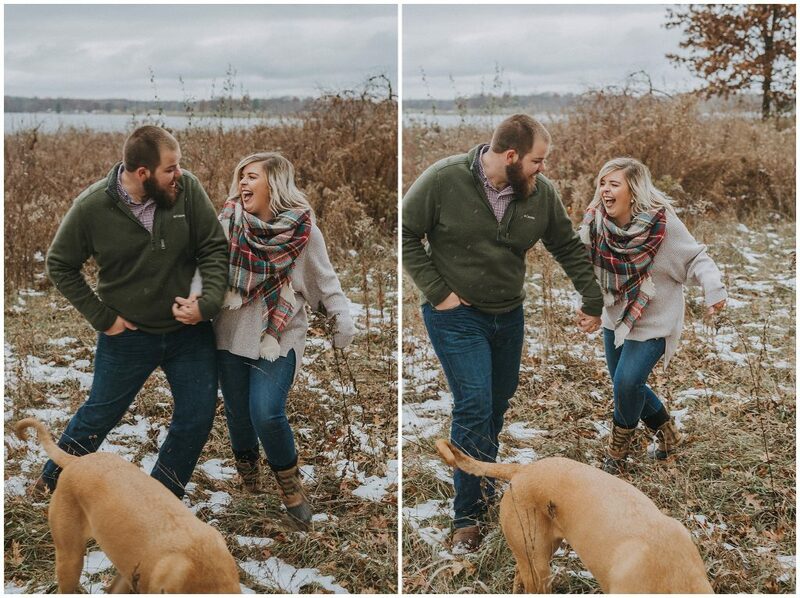 Trevor and Hannah are so adorable and were such a blast to work with for their engagement session in the Detroit area! 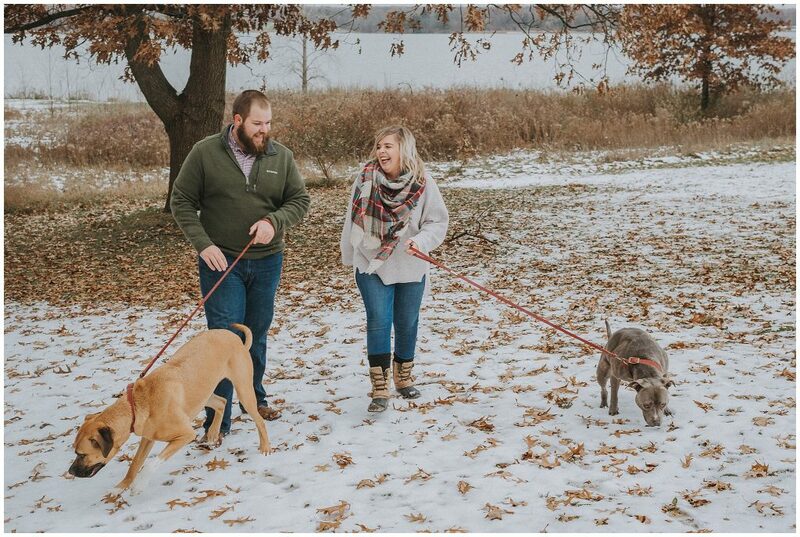 Hannah picked Stoney Creek Park since they like to visit the park during the summer time. 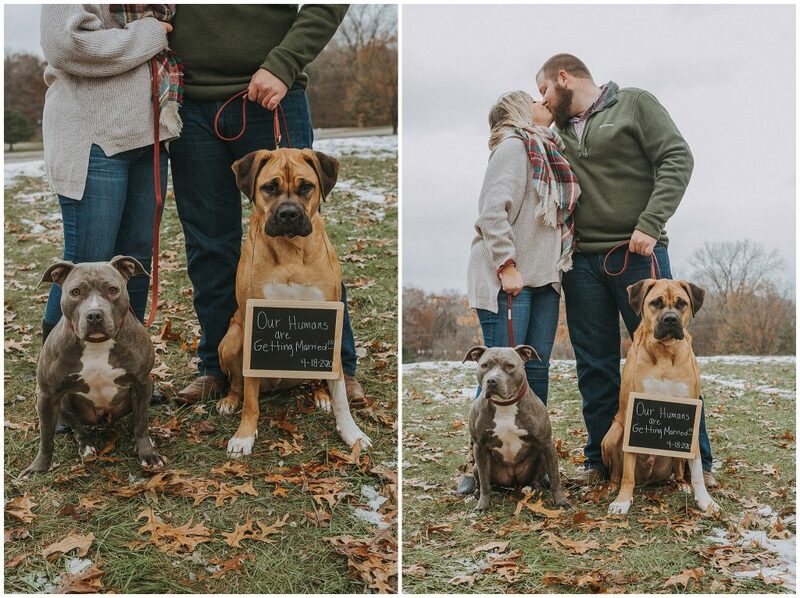 And honestly, I am so glad that she did! 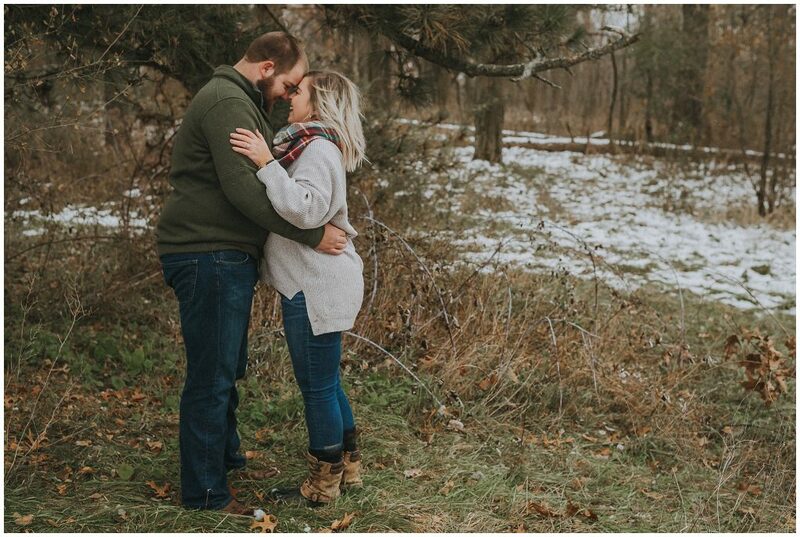 I mean it was still a beautiful and spacious park during the winter so I can’t even imagine how lovely Stoney Creek Park is in the spring and summer months. 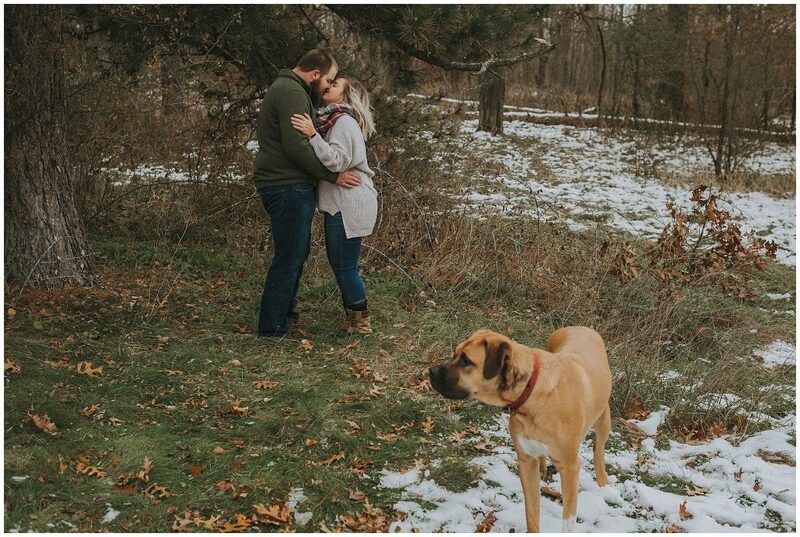 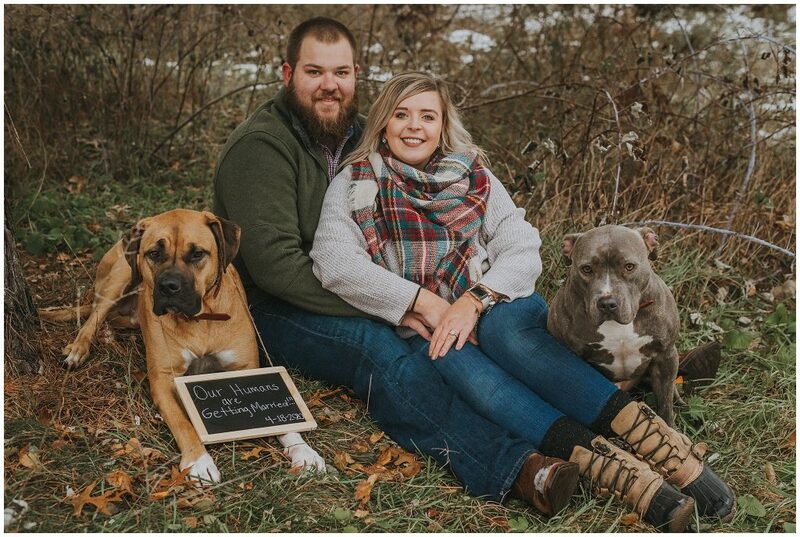 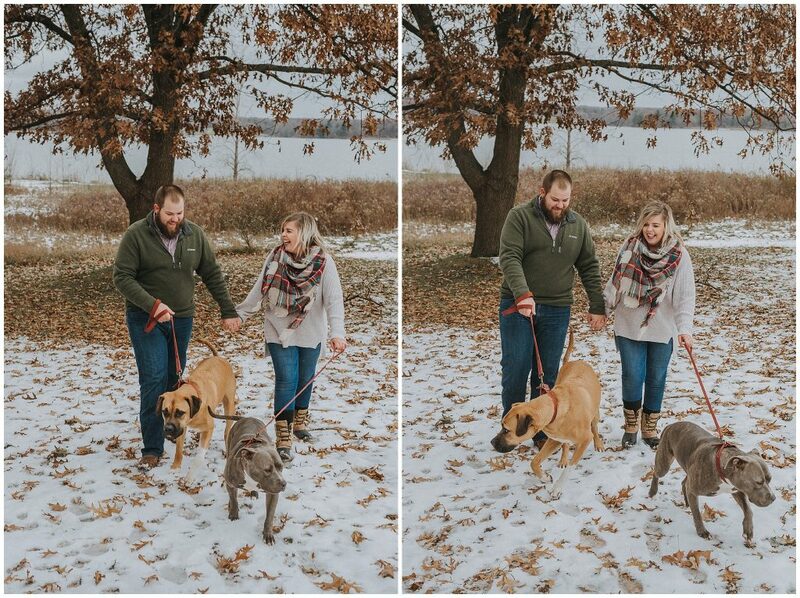 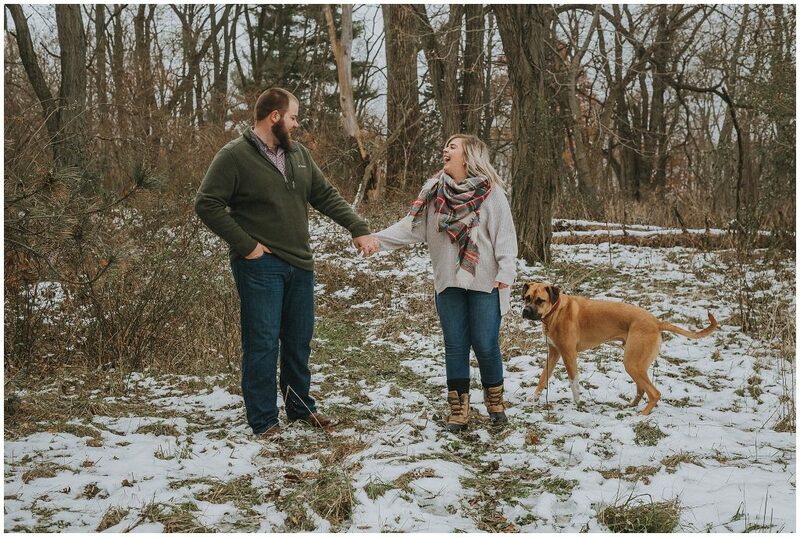 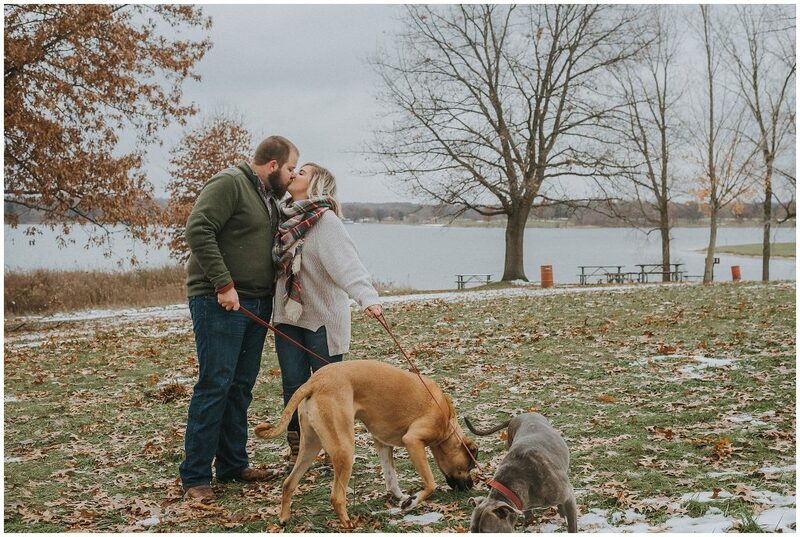 This location was perfect for this fun couple and their two dogs who were such a breeze to work with! 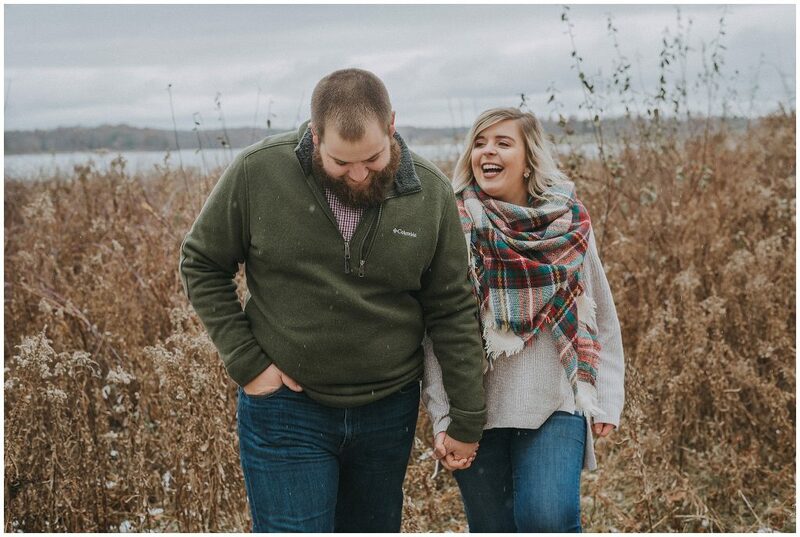 A friend of Hannah kept telling her that she knew this amazing guy that had his life together, and was about to graduate college. 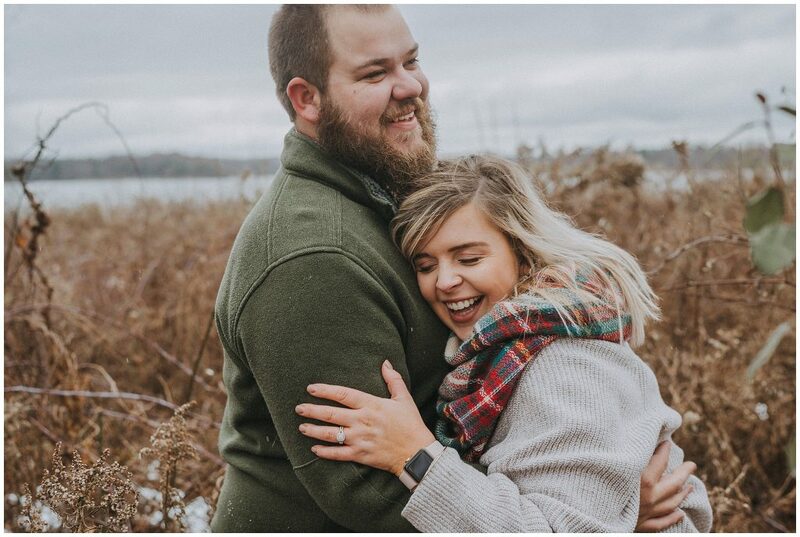 She was hesitant, but Hannah gave him her Snapchat name, and they talked on there for a while and texted. 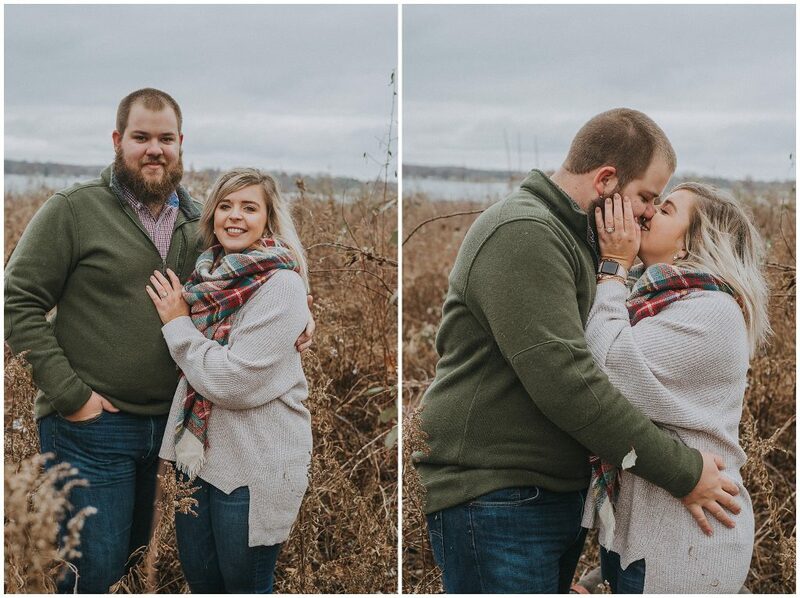 Finally, they met in person and spent all of last summer getting to know each other! 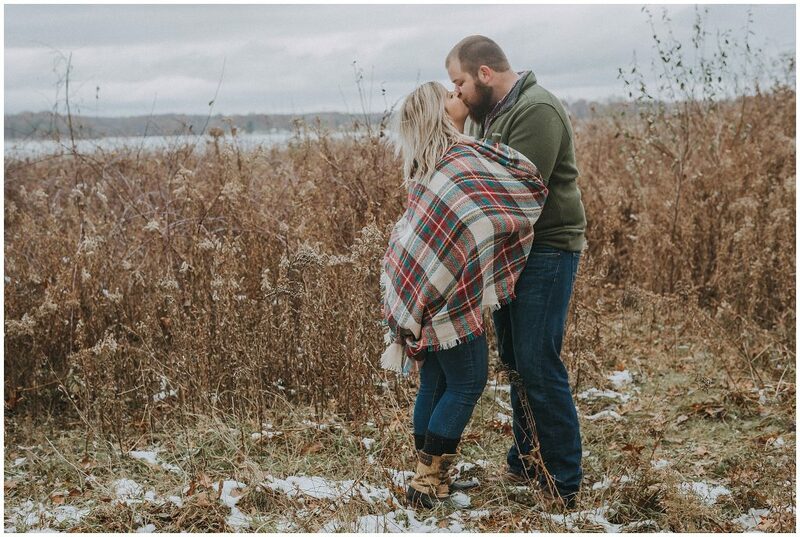 When they met each other, it felt as it was at the perfect time and they both said that they couldn’t ask for someone better to spend the rest of their lives with.